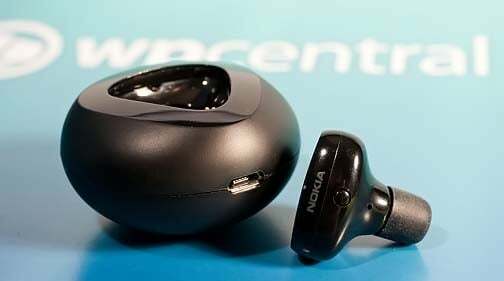 While Nokia Lumia Windows Phones have taken center stage, the company released a rather interesting Bluetooth Headset. 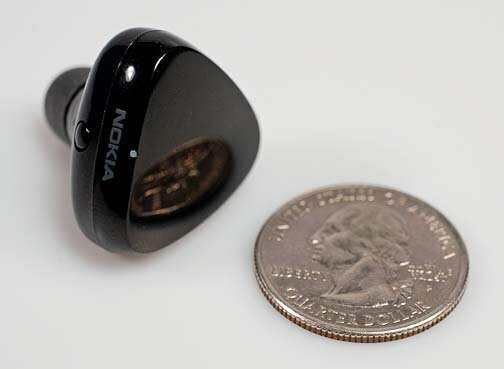 The Nokia Luna is a compact headset that is being offered in five colors and offers NFC support. While Windows Phones lack NFC support (for the time being) the Luna still is a nice hands free option to consider. We received the European version of the Luna to review and it came packaged with the headset, charger/base, set of earbuds of varying sizes, instruction manual and a micro-USB charging cable. The cable did have the Euro plug but I was able to charge the Luna with one of the many micro-USB cords I had lying around the house. The Luna is expected to hit the U.S. Market soon but if you have to have one today, the European version will work. The instructions were a little on the lacking side. The manual relies on drawings to direct you through setting up the Luna and using the headset and was rather difficult to follow. Fortunately, you can find a more detailed instruction manual online. The Luna is triangular in shape and measures about an inch across and high. The surface area is about the size of a quarter. There is a tiny multi-function button on the underside of the Luna that is a little challenging to access. The button controls answering/ending calls, redialing, pairing and turning the headset off when it's out of the cradle. Volume is based on the handset volume. I would have rather seen the button on the surface/top of the Luna for easier access. The charging cradle is simple and straight forward. 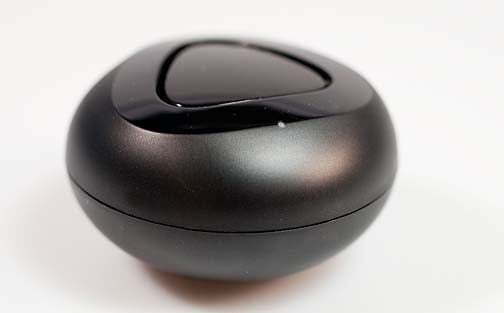 It's about the size of a golf ball with a micro-usb charging port on one end. The Luna fits snugly in place for charging. The cradle also serves as a carrying case and supplies a trickle charge to keep your Luna juiced while on the go. Nokia reports standby time for the Luna, while in the cradle as being up to two months. The Luna fits comfortably in the ear but didn't feel as secure as its closest competitor, the Jabra Stone. I kept having the sensation that the Luna was going to fall out. However, it stayed in place nicely with day to day activities. The Luna also stayed in place while on the treadmill (insert Mobile Nations Fitness Month plug). You do have a selection of rubber earbuds to help fit the Luna more to your liking but even with the right rubber stopper, the Luna felt loose in the ear. I do think if the Luna was circular in design (as oppose to triangular) it would feel a little more secure in the ear. The Luna's feature set is rather basic. You do have NFC support (nice if you have a NFC phone) and multiple device pairing (up to eight with up to two connected at the same time) but the call features are rather basic. You have the customary answer/end calls, reject calls, redial and voice dialing (device dependent). Incoming calls ring with the Nokia ringtone. It would have been nice if the Luna had voice commands (answer/end calls) or audible caller id. While the design is noteworthy, the feature set seemed to be a little plain. Call quality with the Luna was good. I did get a little static from time to time but not enough to drive me crazy. The Luna has a small microphone port that picks up your voice nicely. The biggest headache from the Luna was accessing the multi-function button. The button comes into play when you're wearing the Luna to answer calls, end calls, reject calls, redial numbers and to use voice dialing. The alternative is to keep the Luna in the charging cradle and on incoming calls just pop it out and the headset answers the call automatically. All in all, I liked the Luna and while I did find it to be a very nice Bluetooth Headset the loose feel and small multi-function button seemed to hold it back. The feature set is a little on the basic side but gets the job done. I couldn't help but feel with such a cool design, the Luna needed a little more pizzazz with its feature set (audible caller id, voice commands, etc.) On the plus side, the cradle is compact enough to carry in your pocket to help give the Luna a healthy amount of standby time. Plus the Luna gets very respectable battery life. The European version is running in the $80-90 range from various third party retailers such as Amazon.com (when they are in stock). We expect the U.S. version to hit the shelves soon and the Luna is already being bundled with the Nokia Lumia 800 that is offered through Microsoft Stores. No pricing as of yet on the U.S. version and for more information on the Luna you can check it out on Nokia's website. 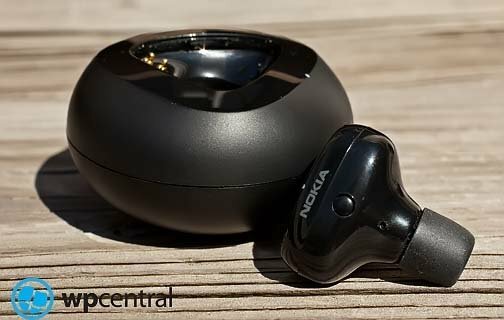 If you're looking for a compact Bluetooth headset, the Nokia Luna is definitely worth considering.